Far out to the west, at the edge of the archipelago where the sea takes over, is where you’ll find Marstrand. 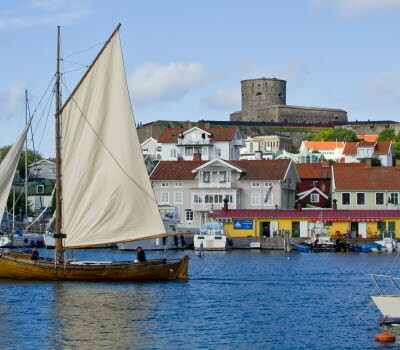 Famous for its sailing and swimming, Marstrand is a great favourite among its visitors. Feel the sense of power at Carlstens Fortress, the harbour full of all manner of boats and picturesque neighbourhoods with pedestrian streets. There are many top-class restaurants and cafés in the area, as well as opportunities for sunbathing and swimming in the sea. 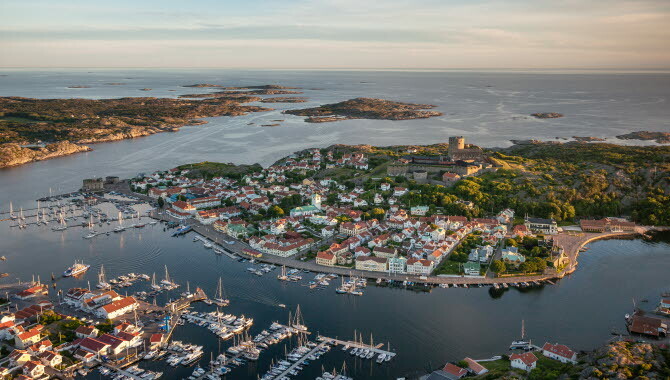 The coastal town of Marstrand, only 45 minutes north of Gothenburg, is spread over the two islands of Koön and Marstrandsön, the latter being most often referred to. 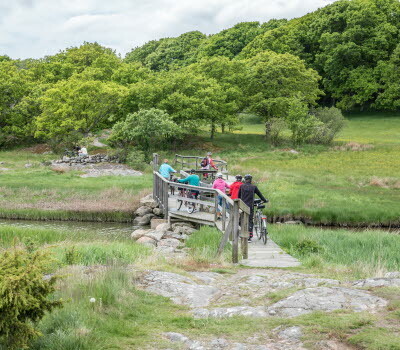 You can reach Marstrandsön by taking a quick ferry over the straits, where you are welcomed by a lively yet historical setting with small alleys, the spectacular fortress and sea views at every turn. 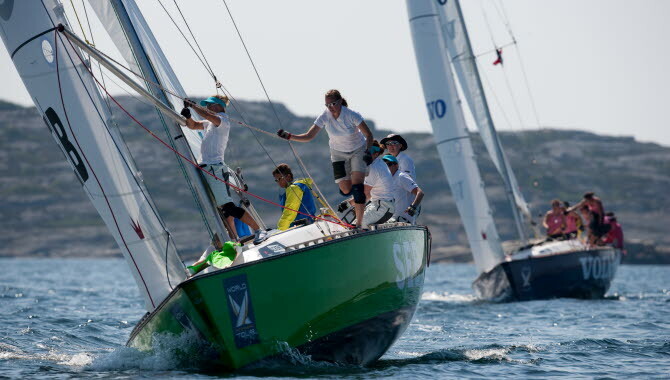 The boats are cheek to jowl along the piers in Sweden's largest guest harbour, and during the GKSS Match Cup Sweden, in the first week of July, Marstrand is definitely the sailing centre of the whole country. Marstrand’s largest attraction is the mighty Carlstens Fortress, dating from the mid-17th century. It was here that the infamous thief Lasse-Maja was imprisoned for 27 years, and if you visit the fortress dungeons you understand very quickly why every fifth prisoner died during the winters here. 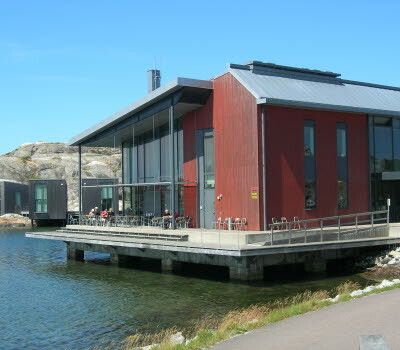 Marstrand also offers spas and recreation, lively nightlife and many sea-related adventures. There are some great walking options in the area. You can stop for a swim at the nudist beach during your walk around the whole of Marstrandsön, or take a shorter walk through Smugglarrännan. 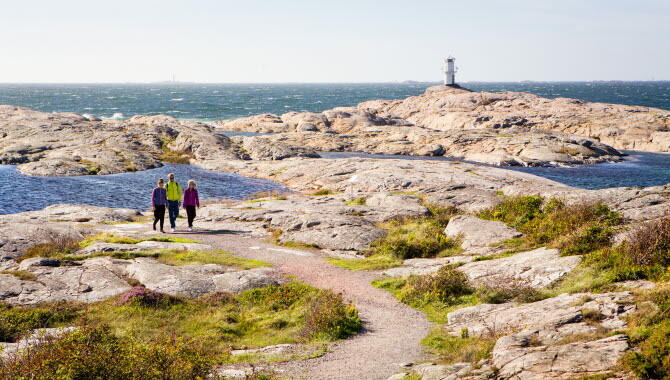 Take a break out by Skallens lighthouse and admire the enchanting area where the Skagerrak and Kattegatt meet. On Koön there are well-marked footpaths, with three levels of difficulty and many lovely rest areas and viewpoints. Marstrand was founded in the 13th century by the Norwegian king, Håkon Håkonsson, and did not become Swedish until 1658. It was an important fishing port for many years and by the 16th century it was the centre of the herring industry in Europe. For many centuries, the stocks of herring made the difference between prosperity and poverty for the inhabitants of Marstrand. Seaside resorts became popular in the nineteenth century and Marstrand experienced a new upswing. 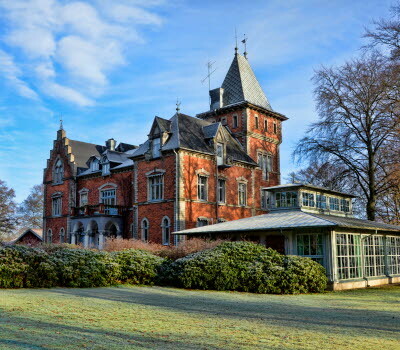 Both King Oscar II and other genteel guests were attracted to the island by the renowned establishments of Societetshuset and the warm baths in Marstrands Varmbadhus, also known as Båtellet. You can still enjoy good food, festivities and bathing here. The legacy from the past is reflected in the well-preserved cobblestone streets, framed by beautiful turn-of-the-century buildings which proudly show off their fine glazed verandas and sublime gingerbread woodwork.